I see you, baby dapples. I see you. Ax has never really been a dappled guy, though he does get a few hints of them after a fresh clip. This summer he really held on to the dapples for a while after his shorter clip (the T-10 made a return) and I loved it! I’ll take a pony full of dapples any day. My first repeat is my trusty Gel-Eze Under Bandage. This is the king of all things non-slip and I was so happy with how well it held everything together (except my life) even through a hot and sweaty summer on a spicy buffalo. They’re doing something right at the Gel-Eze factory. We all know that I destroyed my Samshield, but thankfully this baby fits onto my Charles Owen like a glove! 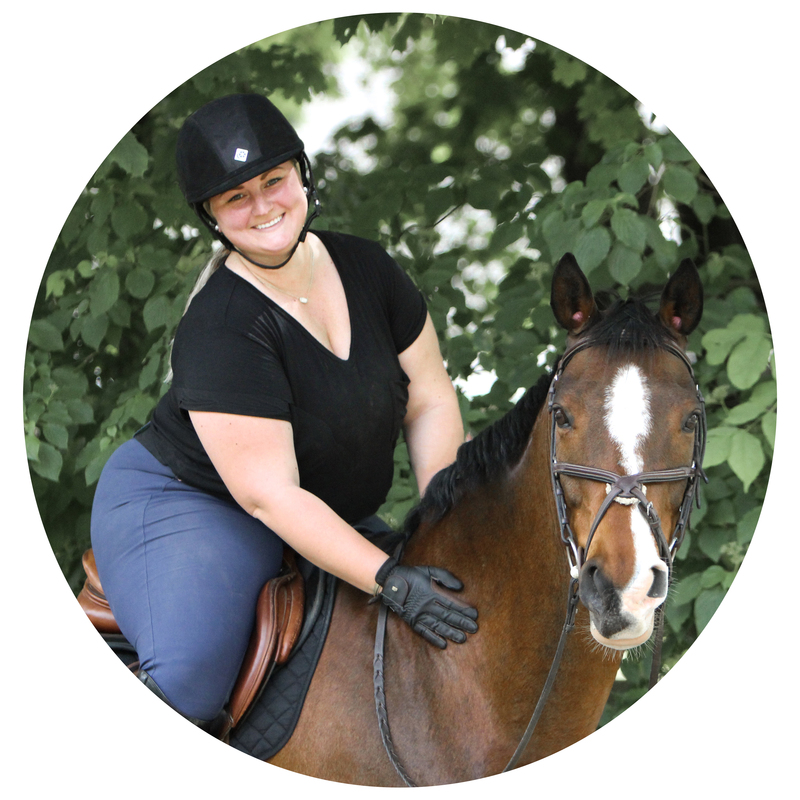 I have an Equi-Visor that is just too chunky for my preference and limits my vision, so I was super happy that I was able to use my polo visor even though I am currently Samshield-less. …types the EquiFit-lover. I picked up a pair of the Veredus Olympus boots through a Facebook group for a hell of a steal and am still loving them. They’ve held up great to all of Ax’s whacking and tripping, I love the easy button closures, they’re easy to clean, and they look super pretty. While in my jumping rut, I got into the habit of not releasing over fences. Not a good habit to have. This summer, I focused more on giving before and over the fence instead of trying to jump in the fetal position and Ax is much happier. Funny how that works. Since showing was off the table this year and I don’t have my own trailer, I had to get creative if I didn’t want to spend my days riding around in the arena. Thankfully my barn has a small jump field that has been Ax a second home to Ax and I this summer. The slightly uneven terrain is good for his booty and it gives us a break from the dusty arena. Another repeat favorite. My traveling for work continued into the summer with trips to New York for the North American Junior Young Rider Championships and Millbrook Horse Trials (photos to come, I promise!) and to other local events around New England like the Vermont Summer Festival, Silver Oak Jumper Tournament, and others. As exhausting as it all was, I am quite sad to see the busy season go. This is a super new favorite as I’ve only had it for a little less than two weeks, but I finally bought a new car as little birthday gift to myself! After eight years with my trusty ex-construction pickup truck (RIP Alan), it was time to upgrade (AKA it was so rusted out that it wouldn’t pass another inspection) and I am in love with the little Jeep I picked out. While it isn’t technically mine until I pay it off in a few years, is used and a few years old, and is pretty standard when it comes to features (I can’t get away from those manual locks and roll-down windows), it is an upgrade nonetheless. Goodbye AM/FM radio; hello, aux cord. Seeya summer, I’m ready for fall!